Wine is always refreshing, but sometimes a wine lover just needs a cocktail. What’s this summer’s go-to drink? Take a look at these cool cocktails to beat the summer heat with unique and flavorful ingredients ranging from lychee juice to blackberries. Cool cocktails to beat the summer heat. Featured image courtesy of Pixabay [public domain]. Baby, it’s hot outside, and yes, refreshing and crisp wine is always a good choice in the summer. 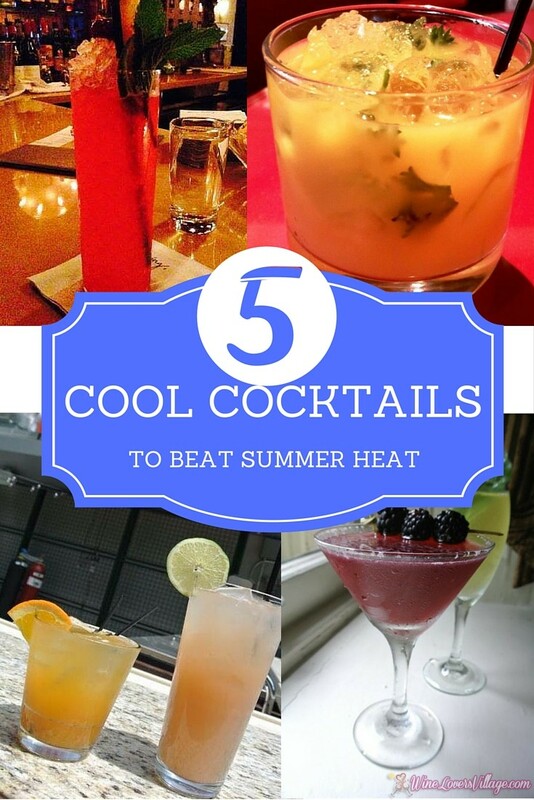 But sometimes, you just need cool cocktails to beat the summer heat, right? There are always new ingredients and methods popping up when it comes to cocktails, this year, ingredients like activated charcoal and cloves are coming into fashion. This summer, go ahead and reach for refreshing Campari and fresh juices, from mango and lychee to pumpkin. Here are all the cocktail recipes you’ll need to while away the warm days ahead. You’re welcome! Combine ingredients with ice in a shaker and shake to chill. Strain into a glass filled with crushed ice. Garnish with mint. History of Mai-Tai: Victor J. Bergeron claimed to have invented the Mai Tai in 1944 at his Trader Vic’s restaurant in California. Of course, Trader Vic’s rival, Don the Beachcomber, chimed in with his claim to have created the Mai-Tai in 1933 at his then-new bar named for himself (later a famous restaurant) in Hollywood. Where did you taste your first Mai-Tai? My first Mai-Tai sip was in Honolulu, which of course lead to several more. Mix pumpkin juice, soda, bitters and Jim Beam, and you have the first of the BURG’s seasonal summer drinks. For the tequila drinkers out there, how about adding lychee juice? A tropical and subtropical nutritious fruit, the lychee grows wild in regions of Southern China and Southeast Asia. With bright red rough skin and clear, and single brown seed, its whitish flesh is sweet with a very peculiar taste and looks to match. The juice can be bought in Asian food stores, and is hard to substitute. 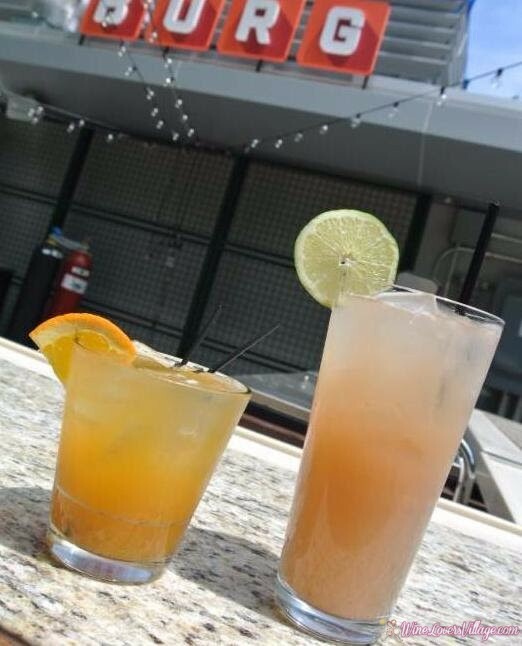 BURG, a New Jersey restaurant, created these 2 unique summer drinks: Brick City and New Ark. Shake and strain into old-fashioned glass with ice. Garnish with a 1/4 orange wheel. Shake and pour into high ball glass. Garnish with lime wheel. Prefer someone else to do the mixing? This summer, BURG introduces the BURG Garden, a 100-seat patio coming soon to Newark’s beautifully restored Military Park. With the added outdoor space comes a new menu of seasonal cocktails paying homage to NJ’s biggest city. Cheers! 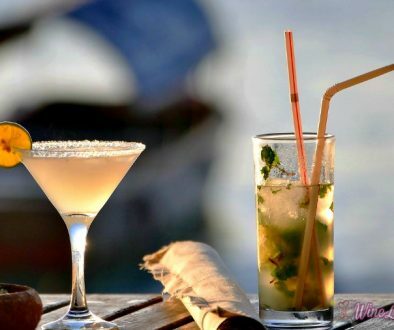 Havana, Cuba, is the birthplace of the Mojito, although the exact origin of this classic cocktail is the debated amongst cocktail scholars around the world (and likely while sipping mojitos). Cuba is on my travel bucket list, and hopefully I’ll make it there soon. Meanwhile, why not bring the taste of Cuba to your home with this twist on the classic mojito. Recipe courtesy of Strip House at Westminster Hotel, the Mango Mojito brings a new level by adding the tropical flavor and vitamin-rich benefits of fresh mango. Salud! Muddle mango, mint and sugar in glass. Add ice, rum, lemon juice and soda. Stir and garnish with mint leaf. There’s so much to love about this cocktail by Ho-Ho-Kus Inn & Tavern head bartender Caitlyn Ritz. The gorgeous color. The fresh blackberries. Not to mention two of our favorite spirits. Take a picture before you sip, it’s that pretty. Muddle blackberries with lemon and St. Germain. Add ice and vodka. Shake and strain into martini glass. Want more? How about Recipes for Martinis Made with Wine? Now it’s your turn! What are your favorite cool cocktails to beat the summer heat? Share away — we are thirsty!